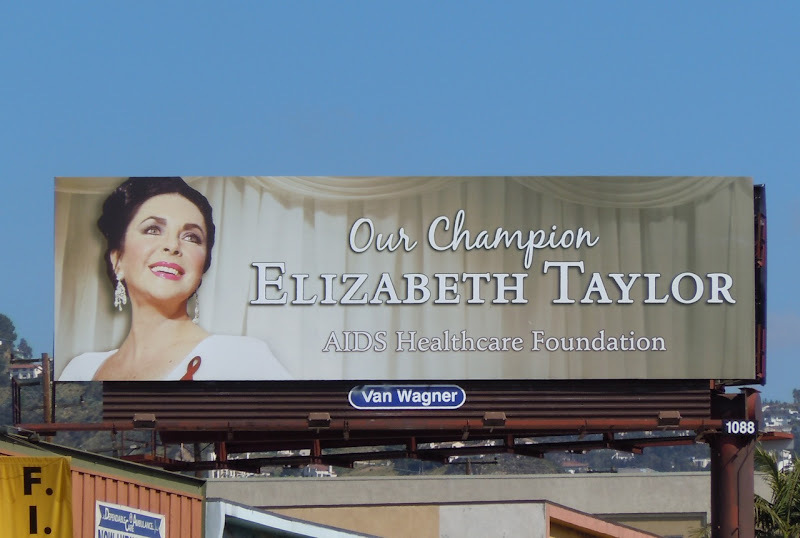 Even though the Hollywood screen legend sadly passed away on March 23, 2011, Elizabeth Taylor still continues to be a wonderful ambassador for the amazing work the AIDS Healthcare Foundation does. 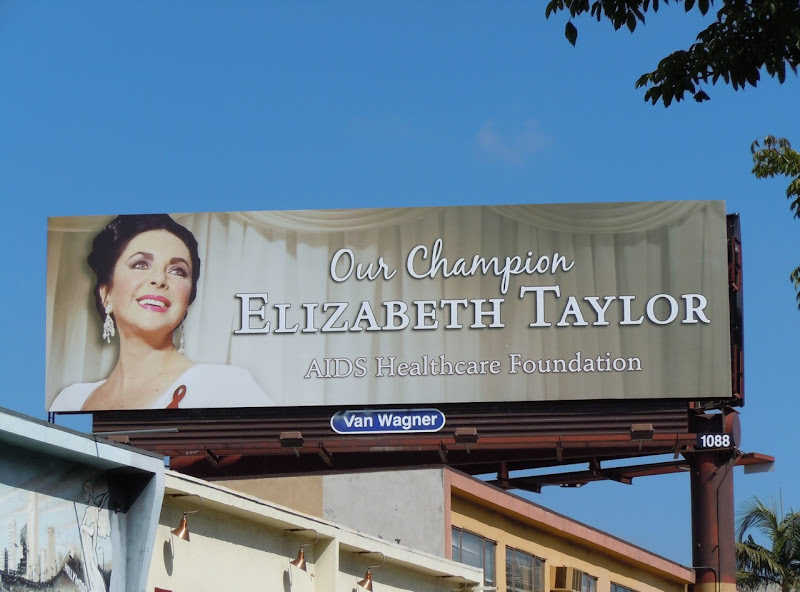 So quite appropriately with the Hollywood Hills in the background, here are some of the billboards currently to be found around L.A. as a tribute to the Oscar-winning actress and groundbreaking AIDS activist. 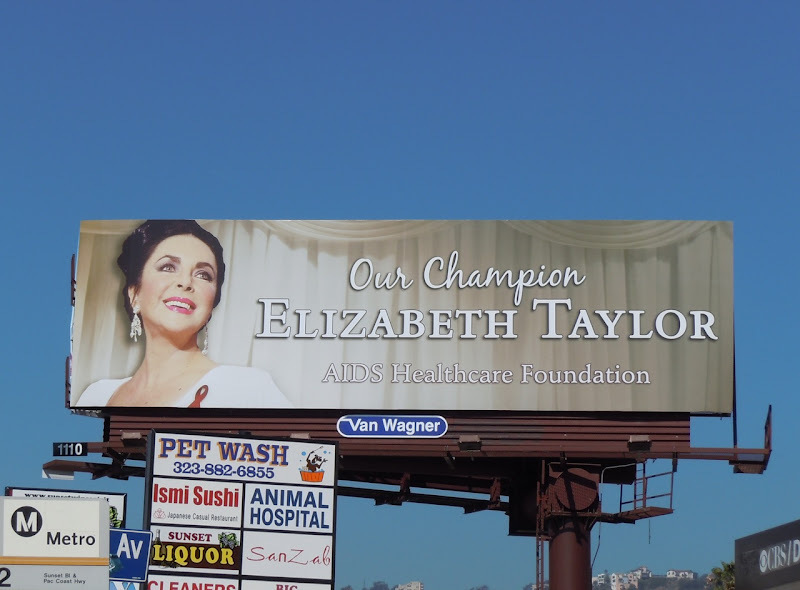 Even after her death the Hollywood icon is still able to raise awareness for a cause dear to her heart, due to the death of her friend and co-star Rock Hudson, as she's honoured by the charity that she helped champion for many years when others didn't. 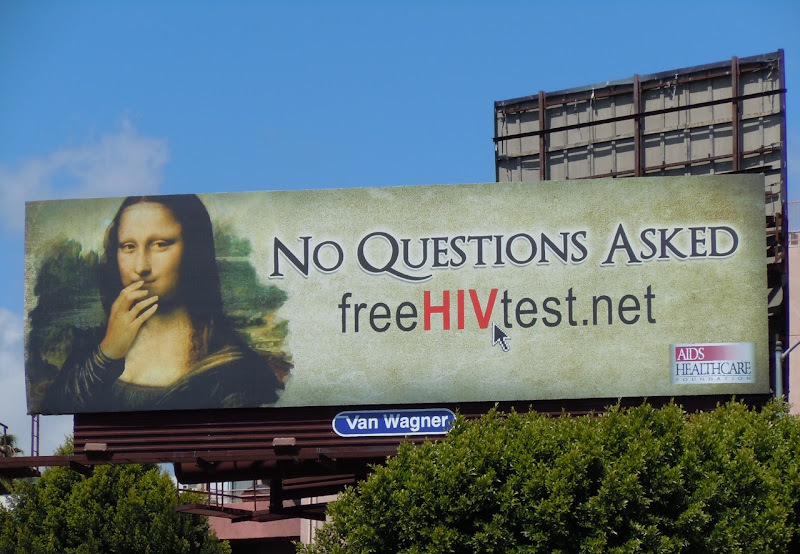 Daily Billboard also couldn't help but share this other AIDS Healthcare billboard, featuring another enigmatic lady in a clever take on the infamous Mona Lisa painting. This arresting visual certainly gets your attention and was snapped along La Brea Avenue on March 28, 2011.